World’s premier trade fair reports substantial increases as registration deadline approaches. Just under a year before the fair begins, the figures for official registration at the EMO Hannover 2017 are looking rather impressive: more than 1,700 firms from 40 different countries have registered for the world’s most important trade fair for the metalworking sector, booking a stand area totalling 152,000 square metres for the period from 18 to 23 September 2017 in Hanover. This means the current registration status lies significantly above the comparable result of the previous event. 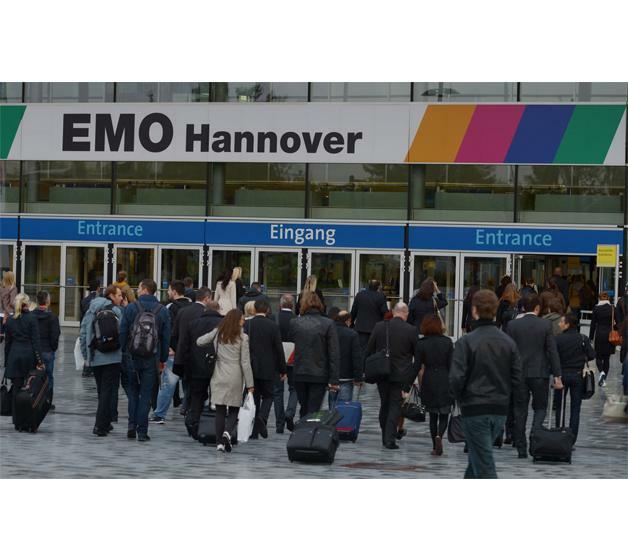 “It looks very much as if the EMO Hannover 2017 will end up with a record number of exhibitors,” declares EMO General Commissioner Carl Martin Welcker. The reasons he cites for the substantial rise are firstly that after four years the EMO is returning to Hanover, the venue that ever since the first event in the 1970s has been acknowledged as an international sectoral highlight and a superlative platform for showcasing innovations. Secondly, the early-booker offer presented to the exhibitors for the first time has taken full effect. It has already produced a definite plus in terms of area and the number of exhibitors, explains the EMO’s General Commissioner. Not only have German manufacturers registered for sizeable stands, but more especially Asian companies too. They have once again increased their areas in comparison to the previous event, a development that’s been observable for years now. Overall, Asia currently accounts for more than a fifth of the EMO’s exhibitors. Under the motto of “Connecting systems for intelligent production”, the world’s upcoming premier trade fair for the metalworking sector focuses fruitfully on the megatrend of digitisation and networking under the aegis of Industry 4.0. To quote Carl Martin Welcker: “With our new motto, we’ve certainly hit the bulls-eye with our exhibitors. Numerous firms can identify with this slogan, and will be showcasing their solutions in the field of Industry 4.0 either on their own stands or in the Industry 4.0 Area”. This, believes the EMO’s General Commissioner, has created the optimum foundation for progressing the success story generated by former events in Hanover.